We are not only reachable by phone or email, but also advise you on site. Our competent sales representatives are at your side with words and deeds. If you do not yet have a personal contact person, simply contact us directly via our service hotline. Additionally we are represented in the USA in Seattle/WA with our own location and contact person. 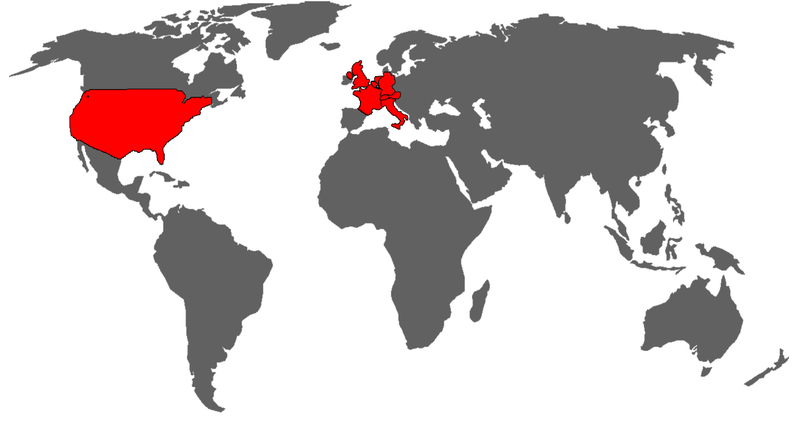 Our products are also available in the mentioned countries and can be purchased. As we are a wholesaler, we do not sell products and goods to end customers. If you would like to purchase our products, simply ask your well-assorted specialist dealer.